He a.s.sociated the crossing of palms with Lin Xintong the night before. Lin Xintong had mentioned a secret of hers, so it was most likely this. Yi Yun found it incredible to imagine. To him, Lin Xintong’s strength was ma.s.sive and she was extremely talented, with no bottom! “Give me your hand.” Lin Xintong stretched out her hand once again. Again it was this white creamy hand. Under the moonlight, it suffused the l.u.s.ter of jade, dazzling Yi Yun. To venture into the Desolate Human Valley with Lin Xintong made Yi Yun fill with antic.i.p.ation. This Desolate Human Valley&h.e.l.lip; was filled with Death! A m.u.f.fled roar sounded out and in front of Yi Yun, a “stone wall” suddenly began to move, shaking off stone dust. 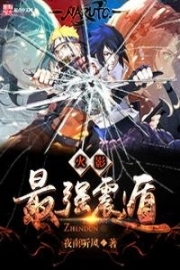 You're Read True Martial World Chapter 135 - Battling Fierce Beasts online at NovelOnlineFull.com. You can use the follow function to bookmark your favorite novel ( Only for registered users ). If you find any errors ( can't read,broken links, can't load photos, etc.. ), Please let us know so we can fix it as soon as possible. And when you start a conversation or debate about a certain topic with other people, please do not offend them just because you don't like their opinions. You're reading True Martial World. This manga has been translated by Updating. Author(s): Cocooned Cow,蚕茧里的牛. Already has 9984 views. Current Time is 24-Apr-2019 00:05:08 AM.